Home > Business > Will I Ever Need To Apply For A New EIN For The Same Business? Starting a business can be exciting- but also a bit overwhelming. There are lots of things you need to think about, like how to raise capital to start your business, how you’ll run your business, what types of products or services you’ll offer, and more. The biggest consideration for a business is usually related to taxes and legal status. One thing that you will need to do as you get started is apply for a federal tax ID for your business. This ID is also known as an EIN number and will henceforth identify your business in the eyes of the law. Here is a bit more information and why you’ll never need to apply for a second EIN. You can get an EIN in minutes by applying online, or you can wait a few weeks and apply by fax or mail. The EIN application is on the IRS website and can be filled out by yourself as the business owner, or by a trusted accountant. If you allow another individual to apply for an EIN on behalf of your business, make sure it is someone whom you trust. How Binding is the EIN? The EIN for your business is essentially its security number. Just as you have a record of your social security number on your social security cards, you should have a record of your EIN for tax and business identification purposes. Having your EIN stored in a safe place will help prevent fraud and give you an easy reference point for when you need to check your tax ID. What if I Loose my EIN? Your EIN is present on your business’ paperwork, including taxes and any business associated bank account. You can also check your tax ID by calling the IRS directly. It may take some time to reach the IRS, so try getting your old records before getting on the phone. What if I Close and Re-Open my Business? Sometimes businesses close or delay opening after applying for an EIN number. If this is the case for your business, what should you do? If you apply for an EIN but then close, or hold off on opening your business, you can close your business account with the IRS. This will let the IRS know that your business is no longer operational. Keep in mind that the EIN will still be linked to that business, so you’ll have to open another account once you are ready with the same EIN number. 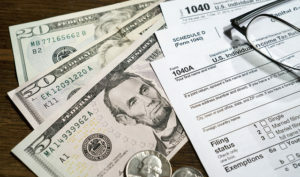 It’s important to secure your EIN number and to ensure that you file properly during tax season to avoid a headache with the IRS, which could result in an audit. As you can see, on the tax and legal side of running a business, there are lots of things to think about and make decisions about while setting up and running your business. Do you have an EIN for your business? Why or why not? As a small business you can also just use your social security number for legal and tax purposes. I personally like and use an EIN though just so I don’t have to give my SS# to a bunch of people.